This classic scooter has brought delight to children for more than 50 years now. 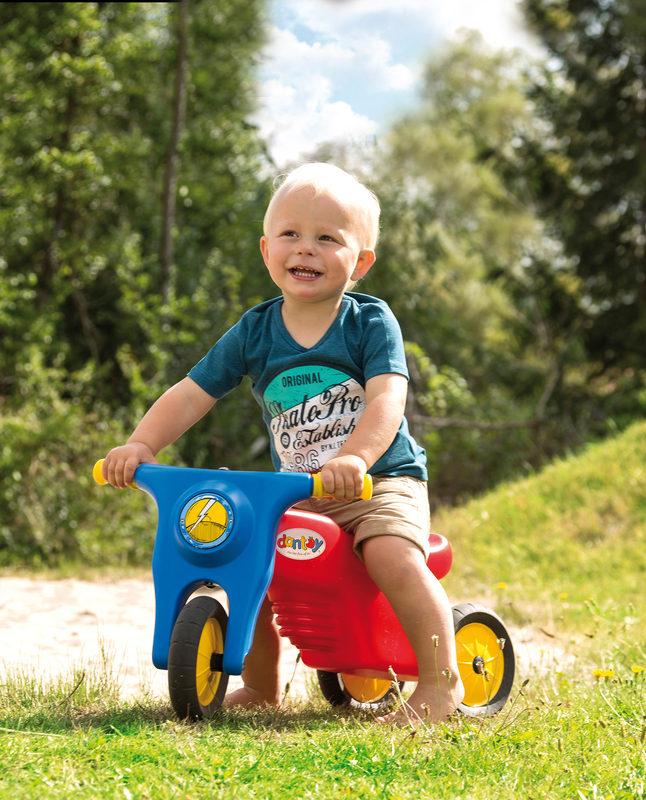 Hardwearing, solid and equipped with two rear wheels for extra stability. 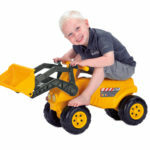 Helps strengthening the child's balance, fine motor control and self-confidence. For both indoor and outdoor use. With a trailer tow bar. Equipped with silent rubber wheels. 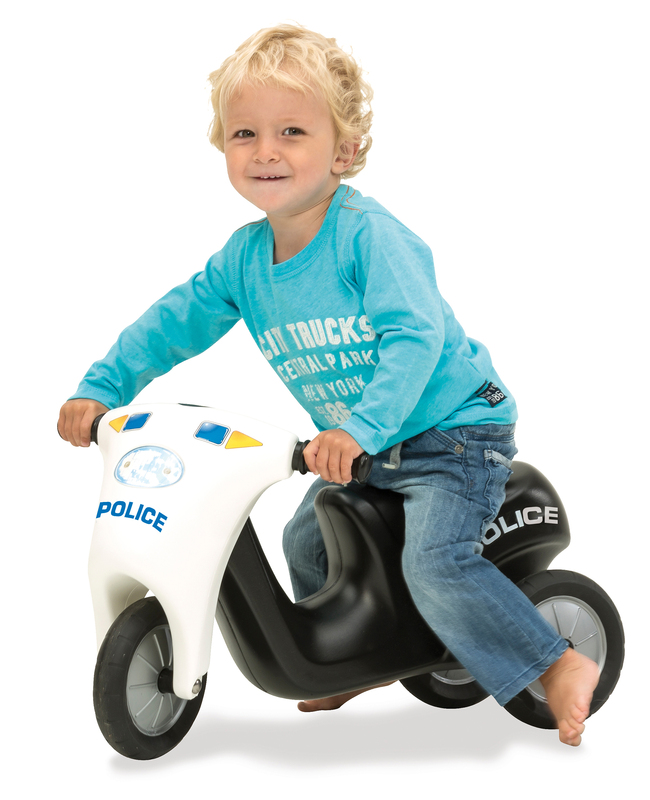 Cool police scooter for both boys and girls. Hardwearing, solid and equipped with two rear wheels for extra stability. Helps strengthening the child's balance, fine motor control and self-confidence. For both indoor and outdoor use. With trailer tow bar. Equipped with silent rubber wheels. 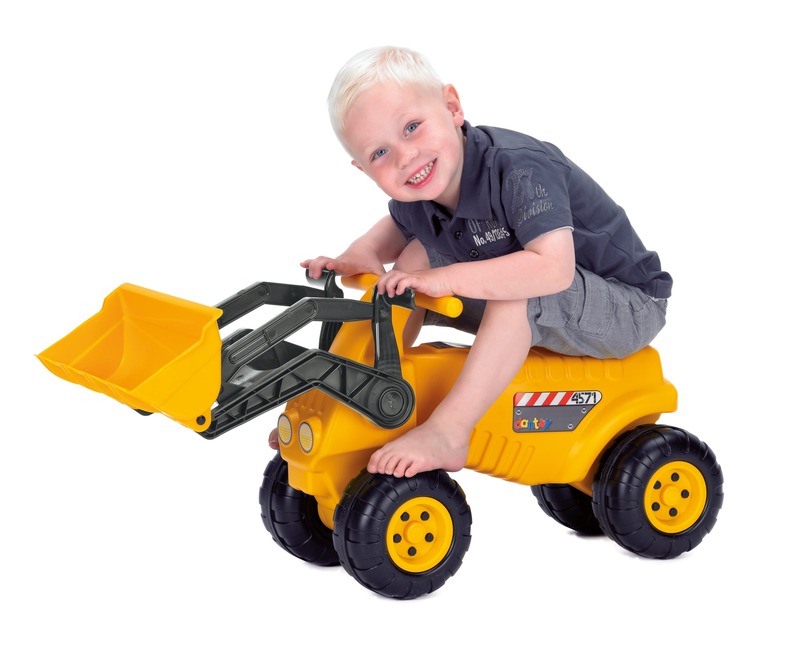 Giant excavator which allows the child to sit on it and steer the front loader. 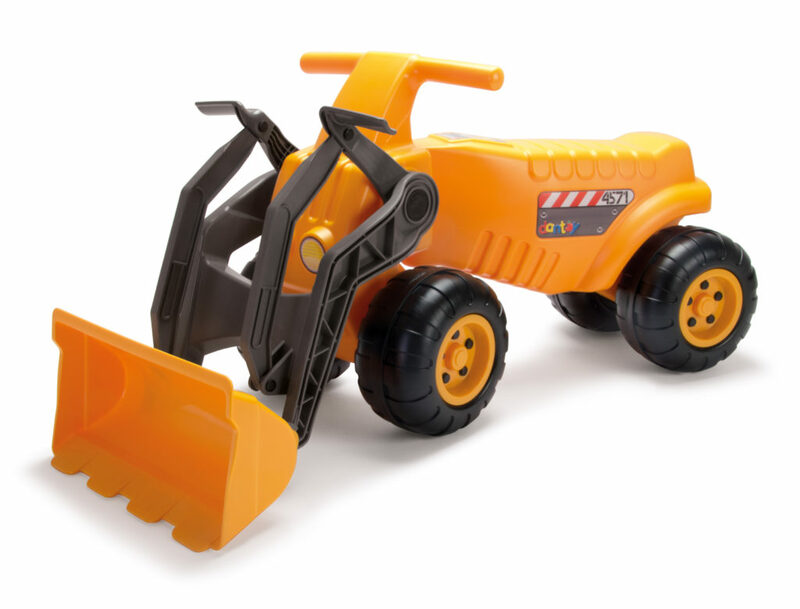 This helps strengthening the child's hand-eye coordination, when it is loading and unloading the sand. 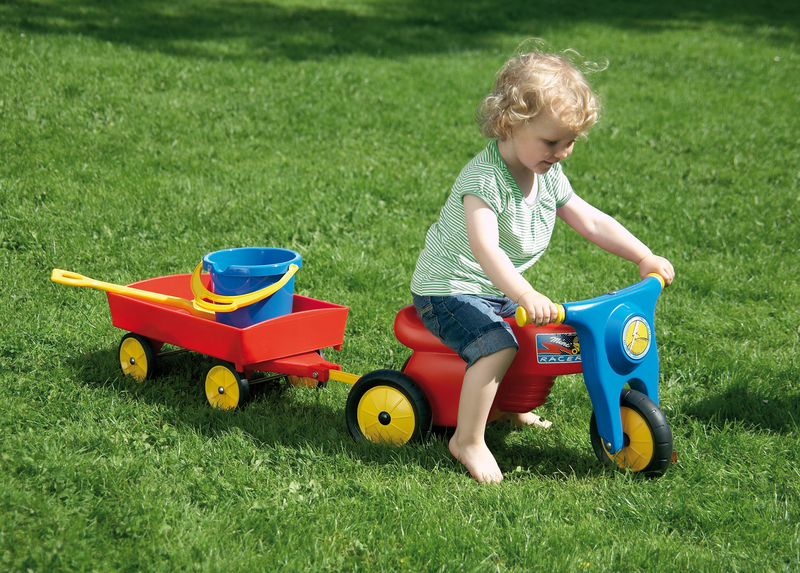 When the child is riding the classic dantoy play scooter, for instance, or the cool green ATV, the sense of balance and the leg muscles are being stimulated. 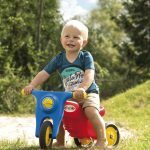 In addition, the child is learning how to coordinate its movements, including how to steer the vehicle while pushing forward at the same time, while also keeping the balance. 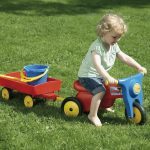 When riding the children’s vehicles from dantoy, the child is presented with a completely new set of challenges, and, this way, several senses are being sharpened at once. Physically active children often have a better self-esteem and more social relations. Later on in life, the child will benefit from this. 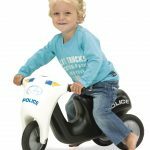 In the Sit & Rides category, dantoy offers a wide range of products, including the classic dantoy scooter with plastic and rubber wheels. The rubber wheels hardly make any noise and may therefore be used indoor as well. Furthermore, the scooter has two wheels helping the child to keep his balance, when things are humming. The toes of the shoes are used as brake pads, and the child must steer the vehicle. 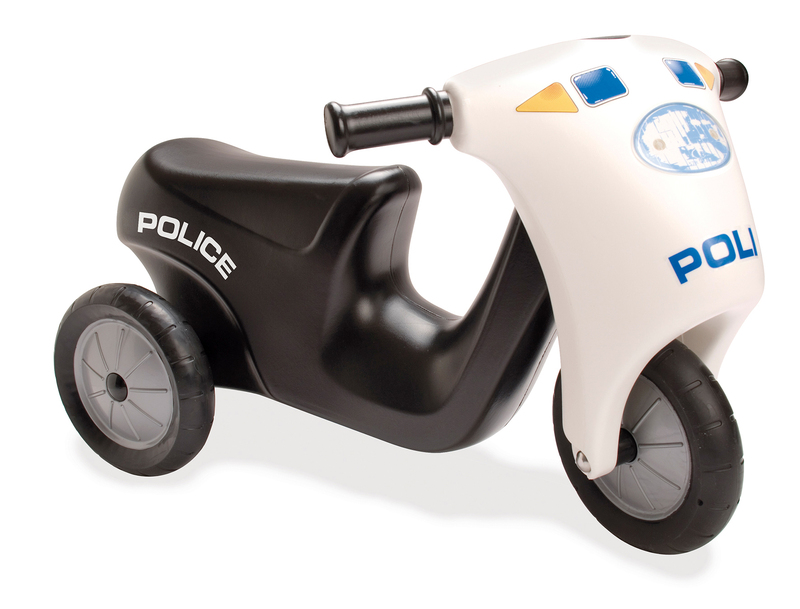 The dantoy Scooter also comes in police and princess designs. 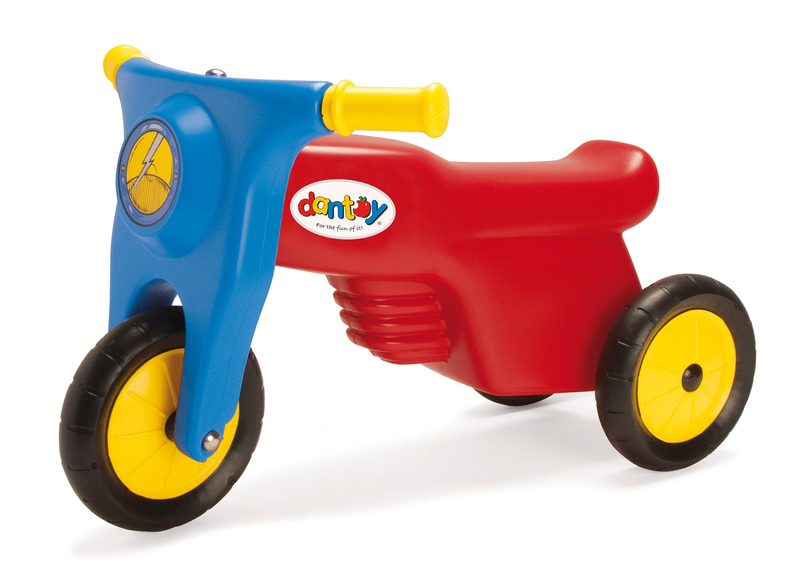 The dantoy Dt1 racer is equipped with two broad wheels ensuring the balance. It is designed as a fast and cool racer, and the more physical effort the child puts into it, the faster it goes.